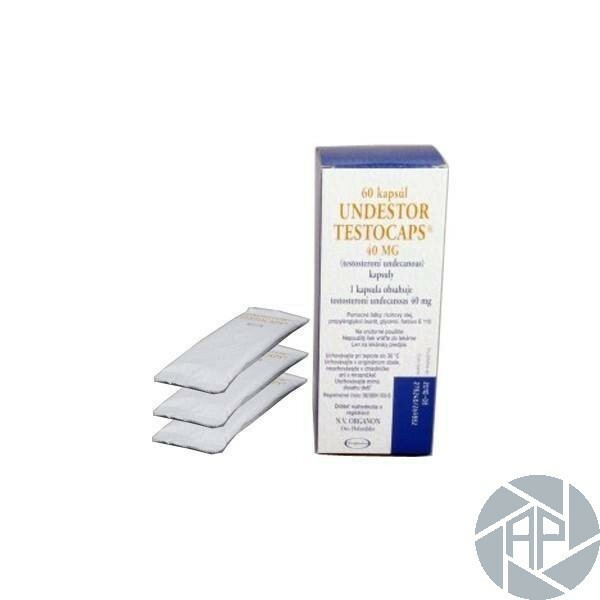 Undestor testocaps contains the active ingredient known as testosterone undecanoate. It is a potent esterified oral DHT derivative. It is available in both oral and injectable versions. The primary use of testosterone undecanoate is for the treatment of hypogonadism and systematic cure of impotence and infertility in males. Undestor testocaps is mainly prescribed for its therapeutic effect against androgen insufficiency and deferred puberty or sexual maturity in men. There is a wide variety of beneficial applications of testosterone undecanoate for women as well. It can be used as a gradual mechanism for the treatment of breast and endometrial cancers. Moreover, it is known to act competently to prevent the inflammation and pain in breasts after childbirth in women. Oral variant of Testosterone undecanoate is extensively popular in the field of athletes and bodybuilders for its exceptional ability to promote androgenic effects such as hard muscle mass and boosted strength. Testosterone is a naturally produced hormone in males and predominantly concerned with the development of sexual characteristics. It evidently does not cause water retention due to which it must not be used during bulking phases to get puffy and bloated muscle appearance. Whereas, Testosterone undecanoate is mostly favored by bodybuilders during pre-competitive/cutting phases to acquire defined and hard muscle look with a manifestation of a well-toned physique as an outcome. An optimal dosage for clinical purpose is 120-160 mg/day for the period of initial 2-3 weeks. This initial dose pattern must be followed by the constant dosage of 40-100 mg/day. For physique improvement, the initial recommended dose is 250 mg/day. Intermediate or advanced level mass builders may take up to 500 mg/day for an efficient and sustained effect. The ideal cycle length is 8-12 weeks. Beginners or trainee level athletes must prefer to take 300 mg/day for the period of 8-10 weeks. Undestor tetsocaps must be administered in the divided dose in a day. Two evenly spaced doses preferably in morning and evening are ideal. It can be supremely stacked with winstrol and trenbolone. As suggested by various studies, testosterone undecanoate is lipophilic in nature due to which it must not be swallowed on an empty stomach. It will prominently slow down its bioavailability. This should be administered in combination with high fat meal to facilitate its absorption and passage through the lymphatic system. Generally, Testosterone undecanoate is safe as it does not cause damage to liver and other organs. However, overdose and mega dosages can cause display of trivial side effects such as diarrhea, nausea and acne vulgaris. It may cause virilization symptoms in women as well.